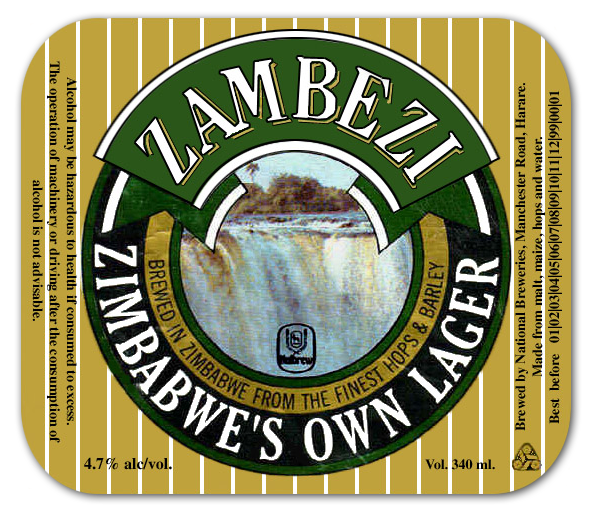 Zimbabwe travel photos — Hey Brian? 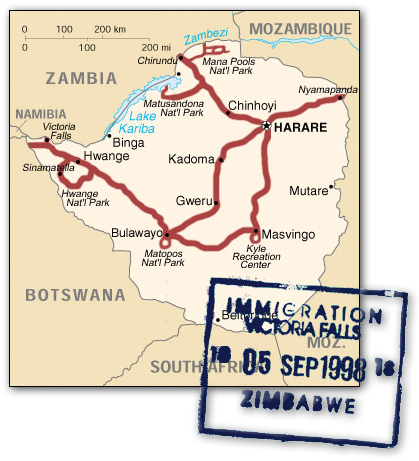 We graciously enter Zimbabwe (our third country in one day.) We have survived the Tete Corridor. After push starting our car at the border, we go directly to the airport and there, unbelievable, is Chris Tymchuk, sitting, waiting, (for us) and for all I know, he could have been sitting there for two days. 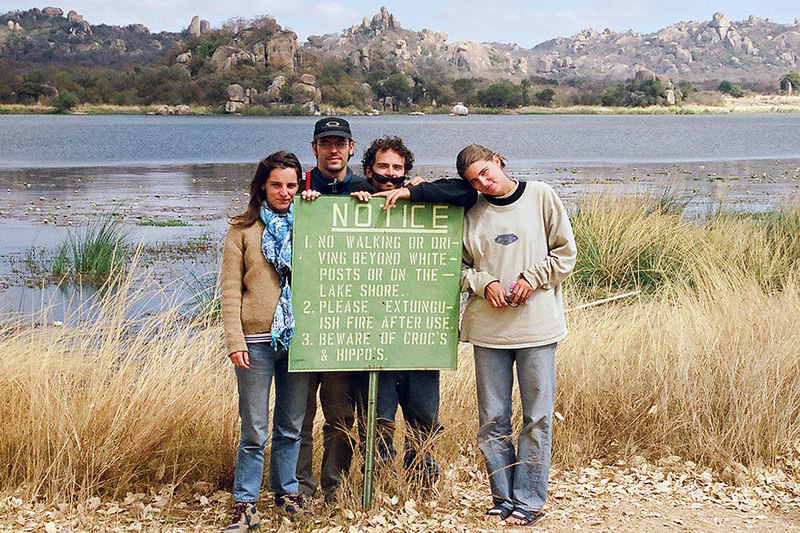 We then proceed to the Backpackers and Overlanders where we are reunited with the Dutch, Aren and Marieke. We exchange embraces, have a game meat dinner, drink beers and eventually fall asleep. It is looking as thought the hardest parts of this trip have passed. We go to the Harare International airport to meet Mies and Roland. The Air France A340 is delayed a bit, so we relax on the verandah overlooking the runway and watch the other planes scramble around. There is an executive looking plane that reads “Burundi.” I enjoy a cold Sprite and a greasy tomato toasted sandwich. The plane arrives and the Dutch emerge from their 10 hour flight across the continent of Africa. We meet Mies and Roland in the terminal below. Mies looks like a hot Euro-model. Her hair is up in a pony tail and she is sporting some nice boots. Roland is sporting a gross safari hat and has the air of a European businessman. We go back to the Backpackers and play Mex and get drunk, and swim and laugh. Thieves manages to get the keys from Todd, break into our car and take my bag. I lose 17 rolls of the best pictures of my life. I am devastated. I just sit and mope all day. I can’t deal. I feel as if I have lost everything. All I can do is go and play some tennis with the Dutch. We play more tennis today. Love and family bonding are the two most fundamental elements on which the Shona culture thrives. 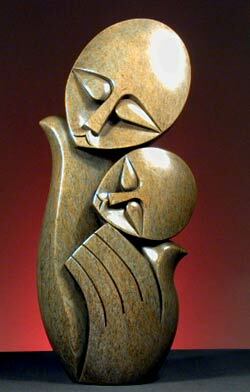 The sacred love between a mother and her child is especially celebrated throughout the Shona culture.